Eco-friendly construction practices are gaining a lot of steam. Asphalt paving is just one such way to be eco-friendly while building. Sustainability and eco-friendly practices are becoming increasingly important in the world. Finding a construction or paving partner for your asphalt who will prioritize environmentally friendly materials and practices may seem like a tall order, but there are actually many ways that asphalt paving can help you make your property more eco-friendly. In fact, with the paving materials and practices in use today, there’s plenty of reason to consider your asphalt paving an eco-friendly part of your next construction project. Here are some of the ways asphalt paving can be eco-friendly. When you pass an asphalt driveway or an expansive asphalt parking lot, you may associate the pavement with development without realizing one of the most eco-friendly characteristics of asphalt paving–it’s entirely recyclable. Since asphalt paving can be recycled, the pavement industry is able to reuse millions of tons of asphalt material every year. This means that asphalt pavement has an extremely high rate of reuse and recycling, allowing pavement professionals to reduce nearly all the asphalt waste being used to lay pavement year after year. Asphalt is a more eco-friendly option when compared to other concrete paving materials. In fact, laying asphalt pavement takes about 80 percent of the energy used to pave with these other materials. This increased energy efficiency will make for a more eco-friendly paving project while allowing your trusted contracting professional to ensure the job is done as efficiently as possible. Warm-mix asphalt is also a great tool for paving projects, as the mix reduces energy use for paving and increases the eco-friendliness of the project. An eco-friendly quality of asphalt pavement that you may take for granted is its high durability. Since asphalt pavement is low maintenance, it will be able to stand up to year after year of weather and wear-and-tear without requiring replacement or frequent maintenance. This can help you reduce your use of maintenance and pavement materials, which can really add up over time. Reliable is dedicated to delivering quality products, displaying professionalism within the firm, seeking new opportunities for expansion and profitability, and providing an environment for individual success. If you have a commercial or residential construction project that you need taken care of, please contact Anne Arundel County’s largest site-work contractor today by calling 410-987-0313 or visiting our website. You can also follow Reliable Contracting on Facebook, LinkedIn, Pinterest, and Twitter! 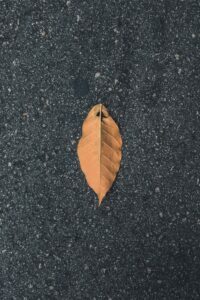 This entry was posted on Friday, April 12th, 2019	at 6:33 pm	and is filed under Asphalt Paving	. You can follow any responses to this entry through the RSS 2.0	feed. Both comments and pings are currently closed.